When you're scheduled to travel away from home for business or pleasure, you don't need to worry about your beloved pet. Knowing he's secure and well cared for is important so you can fully enjoy your travel experience. The compassionate staff at Veterinary Medical Center works hard to provide a home away from home for your pet so he or she feels comfortable and safe throughout his stay with us. We understand how important it is to know your pet is receiving quality care and attention while you are away. Our dedicated and experienced pet boarding staff is dedicated to making sure your pet is content and comfy - and has fun! We offer climate-controlled kennels and cat condos with plenty of room for your dog or cat to stretch out. Our goal is to ensure your pet is comfortable and happy while separated from you. Therefore, please feel free to bring a favorite toy or blanket. We always have clean, comfortable blankets and towels for our dog and cat guests so they enjoy fresh bedding. Your pet's special health needs will be reviewed with you prior to your departure. If your pet requires a special diet, please feel free to send it with them. 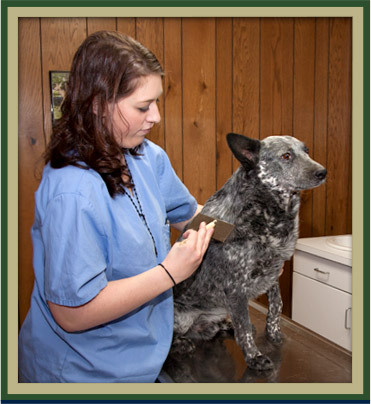 Our qualified, knowledgeable kennel staff is skilled in medicine administration, food preparation, and managing acute or chronic medical conditions. Your dog can receive a free bath and nail trim and your dog or cat can receive veterinary care while boarding. Our boarding facility fills up fast, especially during the holidays, so please call (814) 623-1498 a few weeks ahead of your scheduled trip to make sure we can accommodate you and your pet.